At Northern Basement Systems, we specialize in repairing crawl space issues of all types, including moldy or damaged wood. For a free quote, call or e-mail us today! 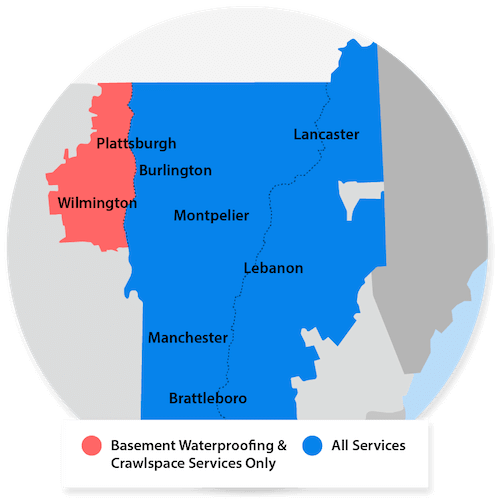 We serve the Vermont and New Hampshire area, including surrounding areas such as Keene, Burlington, Colchester, Rutland, Laconia, South Burlington, Bennington, Brattleboro, St Albans, Montpelier, Lebanon, South Woodstock, Claremont, Concord, Milton, Berlin, Hanover and nearby.